Ephemera - Paperwork / Posters / Etc. Foreign- Camo / Uniforms/ Gear/ Etc. 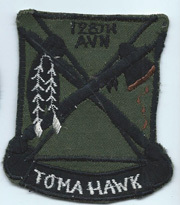 Vietnam 128th Aviation TOMAHAWKS Pocket Patch. 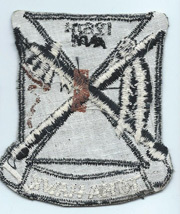 Vietnamese machine embroidered. Unused.